Join DocMagic on May 27th for a Compliance Edge™ Webinar! 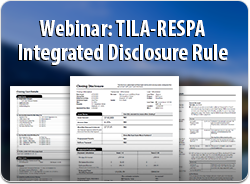 This is the second webinar in our TILA-RESPA Integrated Disclosure (TRID) Rule Series. We are pleased to announce that guest presenter, R. Colgate Selden, Counsel at Alston & Bird LLP in Washington, D.C will be taking the webinar audience Beyond the Basics of the TRID Rule. Together with DocMagic's Legal and Compliance Department, Mr. Selden will illuminate some of the nuances regarding the Rule and focus on areas of concern for lenders. The meaning of "Consummation Dates"
Lenders' increased exposure to liability, and much more! 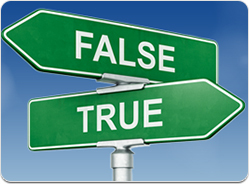 7 Myths of Document Preparation and How to Avoid them. 1. All document preparation companies are the same. 2. My LOS provides compliant disclosures for free. 3. My closers know what documents are needed. 4. There’s no real value in eSigning my documents. 5. I’m already complying with Dodd-Frank today. 6. My processors catch data entry errors. 7. I’m with a bank or credit union and predatory lending doesn’t apply.